Welcome to PRIME Engineering & Environmental Building Services - "We See The Whole Picture"
PRIME Engineering & Environmental Building Services offers outstanding engineering and environmental services to consult, design, inspect, test, diagnose, and problem solve on all facets of commercial and residential buildings and structures including but not limited to: Mold inspections, Mold & Indoor air quality testing, Environmental assessments, Expert Commercial Building Inspections & Forensic inspections, Engineering Analysis & Design, Moisture Intrusion & leak detection, Infrared thermography, expert witness testimony, and much more. 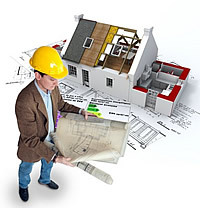 PRIME Engineering & Environmental Building Services is a unique and highly qualified firm. We have expertise in both engineering AND environmental sciences. Our breadth of knowledge and advance technologies allows us to thoroughly comprehend and diagnose challenging technical issues related to building design, construction, and operations. Our depth of experience allows us to see what others cannot. We provide professional designs and can properly diagnose problems with skill to yield creative, cost effective solutions on issues that normally confound other engineering firms or environmental consultants. From the microscopic to the macroscopic, PRIME will resolve your building, site, design or environmental concerns from hidden mold to site infrastructure. Our client base includes: residential home and condominium owners, Home Owner Associations (HOAs), Condominium Associations, Condominium Association Management (CAM) firms, commercial property owners and managers, school system administrators, governmental building managers, healthcare and laboratory administrators, manufactures of foods, pharmaceuticals, and biotechnologies, and industrial processing facilities. We treat all of our clients with the same standard of care and level of professional consideration.